Thinking to optimize your WordPress website for Search Engine? Well, why not Search Engines like Google, are a good source to drive qualified traffic to your site. But Your site must perform well to drive that traffic and get searcher attention. However, a substantial number of people will choose WordPress to power their websites. It can be attributed to the fact that WordPress provides the most outstanding management system yet. Not only does WordPress boast a perfect management system, but also offers several plugins: which are also the best in the market. What makes the plugins the most compelling is that they have features that will allow you to analyze the real SEO potential of your website to the fullest. SEO plugins for WordPress help you make your site more SEO friendly. It can also help to speed up your WordPress site. Furthermore, the good thing about these features is that they can also give you ideas on how you can get to improve the ranking of your website. Therefore, it is essential that you get the best pick for a plugin that will work for your site. Moreover, it is crucial to note that on top of choosing the right plugin for your website, it is also imperative to employ it accordingly if you want to realize improvement in your website’s ranking. That said, the following are fourteen of WordPress SEO plugins that you can install to improve your site ranking. However, each plugin has its own distinct features and functionality which help you to improve your site visibility and SEO score. You need to use all at once but can choose according to your needs and their features. WordPress Plugin is a collection of some functions which help to extend or improve the functionality of your themes. It contains the group of functions which are added to the WordPress websites. Plugins are written in PHP language. It usually extends the functionality and features of the site. As a lot of plugins are free so they do not come with the tech support. Therefore you should be careful about the type of plugin you want to install on the site. Some may contain a virus or malware which may damage your site. To get rid of any such use, you can always contact WordPress Tech Support team to resolve your issues. With the plugin, you can create a wiki website using the knowledge base plugin. You can start a coupon website. 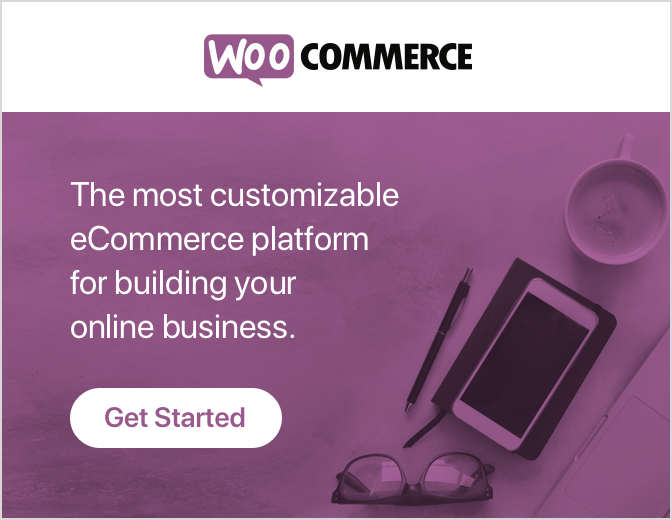 Using the WooCommerce plugin you can start an online store. Using the Job Manager plugin you can create a job board with WordPress. You can start your own podcast website. How do WordPress Plugins work? The WordPress plugin API offers the filters and a robust set of hooks through which developers can make any change in the existing functionality or can add a new functionality. However, WordPress allows developers to store the data in the databases plugins can utilize WordPress taxonomies, content types and custom fields which allow the user to store different types of content. The plugin installed on your site is registered in your database and you can easily activate and deactivate them at any moment you want. In each of the visit, WordPress connects to the database and loads the core software. And at the end, it loads your active plugins. All the code is processed on your server and then after sent to the user’s browser. 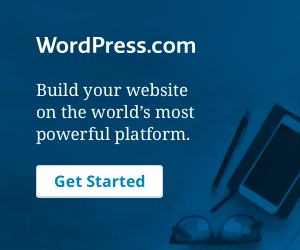 It is the easiest way of installing the WordPress plugin. First of all, go to your WordPress admin area and click on Plugins » Add New. In the second step find the plugin by typing name of the plugin after than you may able to see the bunch of listings. You can select any plugin that is best for you and then after clicking the install now button. WordPress will download and install the plugin and at last, you will see a message with a link to activate your plugin. Remember that a WordPress plugin will not work until you activate it. Click on the activate plugin link to activate the plugin on your WordPress website. First of all download the plugin’s source file and it will be a zip file. And then extract the zip file on your computer. Extracting of the plugin zip file will create a new folder with the same name and you need to manually upload it your website using the FTP client. Access your host using the FTP manager. Open the FTP client on your computer then after connect to your website using the login credentials provided by your web host. Upload the folder you just extracted from the zip file to the /wp-content/plugins/ folder on your web server. Once you uploaded the files just visit the WordPress admin area and click on the Plugins link in the admin menu. You will see the plugin successfully installed. At last, you need to click on the Activate link below the plugin. First of all, download the plugin from the source and it will be a zip file. In the next step go the WordPress admin area and visit Plugins » Add New page. It will bring you to the plugin upload page. Click on the choose file button and select the plugin file you downloaded earlier to the PCs. After the selection of file just click on the install now button. WordPress will now upload the plugin file from your computer and also install it. After the installation, you will see a success message. As the name suggests, this plugin gives you a full package of everything you require to optimize your website. The most impressive aspect of this plugin is that, even though it has been entrusted with so many tasks, it does not under-perform in any of those. It performs sophisticated analysis of content, blocks bad bots and edits files too. With all that covered by All in One SEO pack, you are allowed to anticipate for improvement in your website. On top of having over 500 reviews, the plugin also carries a rating of 4.5/5. Its advanced applications make it the best plugin for developers. The fact that it is free to use sweetens the whole deal. However, you also have an option of upgrading to the Pro version which comes with more advanced. Additionally, it was released in 2007. It is providing webmasters with an easy to use solution. You don’t need any experience to use this if you can read an input the right data in the right field you can easily use it. It helps to avoid the duplicate contents which can have negative impacts on the search engine rankings. Automatic generating of META tags and it can override any settings. Automatic optimization of titles for all of the search engines. Google analytics support an XML sitemap. It provides XML sitemap support. It supports custom post types and easy google analytics integration. Too many broken links in your site are harmful: which is why you need the Broken Link Checker. This plugin keeps an eye on all the links present in your website to point out the broken ones. This plugin will help you in a great way to reduce the bounce rate and increase the dwell time of visitors to your website: which is an ingredient to good website ranking. Further, Broken Link Checker also helps in the management of your blog. It is a highly used plugin and it is free WordPress plugin for SEO. It allows you to find the broken link on your WordPress websites and you can fix those links without any editing of posts. It is able to monitor links in the pages, posts, comments, blogroll and custom fields. Option to prevent search engines from broken links. It detects the link that doesn’t work. Provides the option to give the broken link a difference appearance in posts. It notifies you via the dashboard or by email. Yoast SEO plugin is so far the most popular SEO plugin for WordPress. Well, it has a rating of 4.7/5: something that says a lot about its performance. What Yoast SEO does is to scan your content, that is articles, and give you feedback on whether the articles have been optimized or not. Additionally, this plugin will also provide you with suggestions on how best to enhance your articles. Once that is done, the by-product will be an improved website. You will definitely like this plugin as it is easy and straightforward when it comes to application. It is as simple as picking a focal keyword which the plugin will use to scan your articles, and after that provide you with recommendations for optimization. The other reason as to why you need Yoast is because it is free of charge! In addition, it also gives you the tons of flexibility over your site contents, lets you set up the title, meta description etc. It gives you an easy way to set up a sitemap and add some basic schema. If you want to improve your site by optimizing your site and by creating the better content this plugin is the best to use. Technical WordPress Search Engine Optimization and page analysis tool. XML sitemaps functionality and it is fully multi-site compatible. Using the Yoast SEO plugin you can easily control which pages Google shows in the search results and which of the pages it doesn’t show. You can write better content using the snippet preview of Yoast SEO. It has Page Analysis feature which helps you to make sure all your focus keywords are in place including the meta descriptions, post title, and images. SEO Ultimate provides the flexibility. It is capable of importing and exporting the data from different sources. It is very easy and simple to use. Furthermore, this plugin has SEO rich snippets and it also available in many languages. It able you to monitor 404 errors in your websites. It has a meta description editor and open graph integrator. Social media optimization as it automatically generates and opens graphs for your posts. Title tag rewriter which helps in the editing of the title tags of your pages, posts among others. AMP for WP automatically adds accelerated mobile pages functionality to your wordpress site. It makes the site more flexible to the mobile users. It has advanced woocommerce support and gravity support. With this AMP for WP, all your site’s posts will have AMP-compatible versions, attainable by adding /amp/ to the end of your posts URLs. For example, in case your post URL is http://example.com/2018/01/01/amp-on/, then you can access the AMP version at http://example.com/2018/01/01/amp-on/amp/. It supports pages and posts. The unlimited color scheme is available and active development. WooCommerce integration and no knowledge of coding are required. Custom AMP editor allows you to add a different kind of content and it has the unlimited color scheme. Redirection WordPress SEO plugin helps you to keep track of the 404 errors and tightening of the loose ends of your website. This is helpful when you are migrating the pages from an earlier website. Furthermore, it supports WordPress based and Apache-based redirection. It supports for Apache and Nginx. It is completely localized and you’d be able to redirect all your URLs. It is used for the Linux servers. It improves the speed scores of services such as page speed etc. Do you perceive yourself as not being exactly an SEO expert? This plugin is there particularly for you. SEO by Squirly is a plugin that you can always run to when you feel a little bit lost in SEO. It does a great job in providing you assistance with writing content that will work for you in light of ranking, more so it will help you create content that is readable: remember that your website gets rewarded for readability. SEO Squirly also provides you with ideas for writing headlines that are keyword-based. The plugin goes an extra mile and supervises how your website is doing on a weekly basis. SEO Squirly even goes further ahead to give you visual incentives: you know how essential they are essential in enhancing the user experience. To show how well the plugin does its job, it has a rating of 4.5/5. Also, it is a great plugin when it comes to optimizing your content. It checks whether the keywords are used in title and content. And provides social intelligence through the inspiration box. It generates your site’s XML sitemap. It monitors your progress on a weekly basis. Mainly tracks the content marketing strategy. It controls how your site is going to look on google. The light turns green when you do something right. Rankie is also a plugin that you cannot afford to miss out on. Do you sometimes feel that it would be great if you could get feedback on the position of your website more frequently? Rankie will be perfect for this job. Moreover, What Rankie does is to track the ranking of your WordPress website on Google: and, it does this on a daily basis. The results that this plugin generates is directly from the horse’s mouth. Furthermore, it is thanks to the fact that it uses a research tool that uses metrics for Google. It is essential to know the trends of how keywords rank. Rankie will keep you updated on annual and monthly keyword ranking by providing you with annual reports on the same. However, the plugin only comes in Premium. Nevertheless, the rating, which is 4.55/5 tell you that it is worth every dime. If you have been a WordPress user, you must be familiar with SEOPressor as it is the most popular plugin among the users. The plugin is focused on keeping track of the shifts of topic-based rankings. The features of this plugin will fascinate you. They include making your website SEO-friendly, giving recommendations on how you can enhance the use of LSI keywords, giving you unlimited control over how bots travel through your site, running an over optimization check for your website, alert you on over usage of keywords and giving you the readability score of your website. WP Meta SEO plugin is a pack of WordPress tools that are meant to lift the burden of the time you are required to spend on SEO and on tasks that concern editing. Consequently, as aforementioned, the role of this plugin is to help you with the editing of the cumbersome tasks that involve website metadata: image information, posts, SEO links, and pages. The beauty of it all is that any change that is affected by this plugin is real-time! The plugin has also been coupled with a Sitemap Generator, Breadcrumb generator, and a Broken Link Checker. The plugin also gives you the option to get a paid version which comes with extra features such as the ability to integrate your website with Google function and metrics. Edit all the sites meta on a single view. Bulk the edit image file name and meta. 404 errors redirect and internally broken link checker. It helps to edit the meta in content with live SEO analysis and much more. However, the good thing with Swift Performance is that it can work with any given web hosting service to improve the performance of your site. It is also packaged with caching controls that are built-in: that is, for local caching. SEO Booster tracks internal linking. How it does it? It is through linking phrases and keywords present in posts and comments with the responsible posts, tags, pages, and categories that are in your website. By so doing, the plugin offers an excellent way of capitalizing on the internal site SEO. It automatically creates tags or categories from keywords and tag posts. All backlinks are discovered and listed. 404 Error monitoring – discover errors on your site. Uncluttered view of what brings traffic and much more. The job of this plugin is to allow you to insert title and alt into images that are SEO friendly. Once a definite pattern has been established, the plugin does an update on all the title tags and alt without necessarily having to make any alterations in the database. This plugin will take the value of your SEO to another level! you will get from serpbook.com are impressive. These are the list of top 14 WordPress plugins for SEO. You can add them according to the functionality you need to improve your site SEO. That’s all on our behalf. For any further assistance and help, dial WordPress customer service phone number +1 844 275 0975 (Toll-Free).